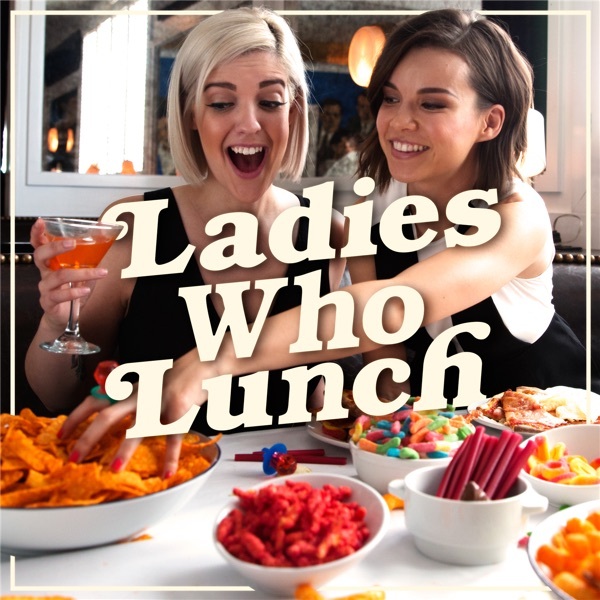 Ladies Who Lunch | Listen Free on Castbox. Join YouTubers Ingrid Nilsen and Cat Valdes in this weekly podcast exploring topics often left out of polite conversation. This is it! Our last episode of the podcast. We’re celebrating 2 amazing years by answering letters sent in by you, our listeners. We’re talking about toxic friendships, divorced parents, motivation and more, plus sharing what we’ve loved most about making this podcast. Thanks to everyone who has listened, written in, tweeted us and approached us in real life... we’ve had an incredible time with this project, and we hope, by listening, that you’ve learned a little more about yourself and the people around you. PS. Thanks to Away for supporting Ladies Who Lunch! For $20 off a suitcase, go to awaytravel.com/lwl and use promo code lwl at checkout. This week’s episode is inspired by a letter from a listener who wrote in to discuss how people often compare their own pain to another’s. We know that empathy creates connection, and sympathy can create disconnection. Empathy is a vulnerable choice because you have to connect with something within yourself that might be painful. This conversation began another conversation about miscarriages, and the silence that often surrounds them when they happen. In order to move past the shame, we need to first acknowledge that the shame and silence are there. The only way to banish the stigma surrounding loss is to share our stories. PS. Thanks to FabFitFun for supporting our podcast! To get $10 off your first FabFitFun box, go to fabfitfun.com and use the code LWL. After being inspired by a recent Katie Couric doc about our brains and technology, we’re diving into our own relationships with tech. Tech use and addiction is something that’s heavily accepted and even expected of us. Social media, video games, apps, and other digital products are carefully engineered to keep you coming back for more. App notifications, autoplay, likes, messages are scientifically proven to compel us to watch, check in, and respond right now — it’s either that or FOMO. With all of these factors working against us, it’s clear why it’s so easy to become addicted (there’s even tech rehab centers popping up in the US). Ingrid shares how she has been working to implement some behavioral changes to combat the signs of her own tech addiction, and we answer a letter from a viewer who is worrying she is wasting her life on her phone. This week, we're talking about the desire for a quality or situation that you think will make you happy once you get it: a raise, a perfect body, a relationship, etc. We’ve bought into the myth that happiness is something we achieve when everything in our life finally looks the way we’ve been thinking it should. These things alone don’t create lasting happiness, so happiness becomes an elusive thing that we desire but don’t actually know how to achieve. The truth is that happiness is not circumstantial. Actually, we don't have to control anything outside of ourselves. Becoming aware of this means we can choose happiness in this moment. When we feel happy first, our outward experience begins to shift.PS - Thanks to Dagne Dover for supporting our podcast! Go to dagnedover.com/LWL to get 20% off your order with the code LWL. This week, we’re talking about feelings of admiration and envy. Sometimes, these feelings can come up in response to encountering someone who you consider to be more successful, more beautiful, funnier, smarter or better. Admiration is seen as a noble sentiment, but envy, by contrast, is thought to be inherently bad. When we admire someone, we do so from a distance. When we envy someone, we picture ourselves in their place and feel that in order for us to be desirable, we must possess the same advantages they have. This episode was inspired by a recent epiphany Ingrid had while looking into her own feelings of envy. When does envy arise, and how can we re-frame it so it becomes productive and not destructive?PS - Thanks to Dagne Dover for supporting our podcast! Go to dagnedover.com/LWL to get 20% off your order with the code LWL. + Thanks to FabFitFun for sponsoring this episode! Go to fabfitfun.com/LWL and use the code LWL for $10 off your first box. What Happens When You Envy Someone? This week, Ingrid is joined by her long-time friend and professional makeup artist / beauty editor, Francesca Giaimo, to talk about the beauty-related pressures that women feel as they grow older. From the moment we are born, society sets expectations for women. How we look and act is what moves us up the ladder of what this culture deems as successful. Aging is inevitable, but it's barely acknowledged in our culture. We are frequently told that the world is our oyster and that we can do anything, but women of a certain age are not revered. Why are we not commending older women for their strength and longevity? Why are we not paying tribute to their achievements and accomplishments? We also answer a letter from a listener who has found herself obsessing over the changes to her face and body that come with age. As a woman, it can be easy to feel like you’re disappearing into the black hole of what you “used to be”...unless your life isn’t built around your looks. Unless your self-worth isn’t wrapped up in whether or not someone thinks you’re pretty. Unless you have an obsession for things other than what you see in the mirror. This week, we're talking about the balance between courage and compassion. If you have too much courage, you can become destructive to yourself and to others, but if you have too much compassion, you can be paralyzed by your desire to please others. Finding balance can be hard, but it's important. We believe that courage opens you open to everything, including compassion. If we are courageous, we are free to be compassionate when and where we are inspired to do so. Sometimes, we see courage as a big huge act that completely shifts your life in a moment - but more often it's little acts of courage that, when practiced over time, shift the course of your life.PS. Thanks StoryWorth for sponsoring our podcast! Get $20 off when you subscribe at StoryWorth.com/LWL. Learning to live alongside and love another person is tough, but it's only made harder by the many issues you face in a long-term relationship. Compatibility is only the first step. Factors like timing, current circumstances, goals, and uncontrollable occurrences will often get in way of something great and turn it into a challenge. Sometimes these things can be surpassed, and the two of you will come out on the other side better for it, but there is always the chance that one factor could be the breaking point. If your dealbreakers don't match with theirs, it may be time to reevaluate your relationship. This week, we're talking about what happens when your needs aren't the same as your partner's, inspired by a letter from a listener who wants kids, but her partner doesn't.PS. Thanks to Away for supporting Ladies Who Lunch. Go to awaytravel.com/lwl and use the promo code lwl to get $20 off a suitcase! This week is all about body wisdom. We're joined by Cara Cifelli from Cara's Kitchen, a holistic health coach who has a personal mission of helping others love the skin they are in and develop a balanced relationship with food. Our relationship with food and our bodies can influence every aspect of our life, and unfortunately, 97% of women surveyed have body image issues. It takes time to cultivate an awareness about your body, but ultimately, your body won't lie to you. Listen to your gut! If you can replace strict meal plans and a diet mentality with patience, respect and love for yourself, your life will undoubtedly change. Cara also helps us answer a letter from a listener who doesn't want to stand back while her friends struggle with an eating disorder. How can you approach someone who might have a problem without upsetting them?Our lives are often hectic — many of us feel undernourished mentally, emotionally, spiritually, and physically. We often sacrifice our own best interests in our efforts to meet the demands of our lives. You deserve to be able to tune into yourself and connect with your body, mind, and heart. This week, we're talking about a human need: a sense of belonging. Belonging to a greater community improves your motivation, health, and happiness. When you are connected to others, you learn that all people struggle and have difficult times, and you feel less alone. If you feel like you don't belong anywhere, you might have inner dialogue that says: who you are isn’t okay. In the end, there are usually some core beliefs, emotions and blocks that dictate this sense of not belonging and loneliness. Most of the time, no external community will make that feeling disappear -- you need to deal with the pain inside directly or it will follow you around.PS: Thanks to TrueReligion for sponsoring LWL. Use the code LWL to get 20% off your order! + Thanks to FabFitFun for supporting us! Get $10 off your first box by using the promo code LWL.